Just to note that the usbcore.autosuspend=-1 kernel parameter (set in /etc/default/grub, don't forget to run sudo update-grub afterwards) disables this permanently. and a few minutes back, while typing, my mouse just suddenly "hung up again"
just 30 seconds ago, I had just clicked 'reply' to a forum post, typed in 1 sentence and tried to mouse to the SUBMIT button, and it was frozen..... turned the LogiTech M510 mouse power off/on with no effect. had to pull the FOB out of the usb port, wait a few seconds, and plug it back in. this is highly irritating for me. am reading the Linux Torvalds link now. I can't force it with this method, permission denied. and then you won't need the sudo prefix anymore (careful, you are now root - the exit command makes you leave the root shell). That worked, will put that in my Notebook. just preface sudo to a command when needed. I read in one thread where this would turn suspend off permanently, but for me, it did not. I just now read JeremyB saying that my kernel has issues, should I go back to a previous kernel? No modification to /sys is permanent. Those are not real files, that's just a virtual file system created by the kernel during run time, exposing some parameters. And a different kernel (series) might well help you, so if JeremyB knows something is broken in yours that's well worth a try (I know nothing on this particular kernel issue so I won't advise other than this general statement). it is exasperating, seems to occur about every 15 minute, although I have never timed it. only way to get it working again, is to pull the FOB out and plug it back in. This AutoSuspend thing is very infuriating. I tried tlp for a while, and can't remember why I didn't stay with that now. after a bootup from Power OFF , the mouse is once again, dead in the water. from there, I use the dn arrow key to hover over the USB LogicTech Mouse entry. it will be grouped initially in the 'good' USB category at that time. Pressing <enter> toggles the line that is highlighted and it goes from 'good' to 'bad'. and instantly, the USB mouse is good for as long as the PC is powered ON. How come this works, and all the other ways of turning OFF AutoSuspend's timeout will not remain 'permanent' during the current session and disable the mouse again? just made the above post, and the USB mouse stopped working, even though PowerTOP has it toggled off. I had to pull the wired USB mouse out of the port, and plug it back in. For me, the issue resolved by itself. I'm in luck this time. I can only wish it would quit this crap. I am going to start a campaign to try and find a release that does not have this problem. Have you checked out your BIOS setting? The previous methods only worked for the Current Session. I am back to trying this again. tlp is not doing the job permanently. PowerTOP is infuriating, in that it does not give a permenent fix, the mouse has to be unplugged and reinserted. I just tried to modify /etc/default/grub and when I updated grub, got an error. I think I did something wrong in the grub module. GRUB_CMDLINE_LINUX_DEFAULT="quiet splash iommu=soft video=SVIDEO-1:d ipv6.disable=1 usbcore.autosuspend=-1"
In your messed up file they were scattered across invalid or overridden variables, so they weren't all in effect, so decide whether you want to keep them. But that single line is where kernel boot options go, nowhere else. I have been wondering about all of those repeated command line entries, in my way of thinking, the last one was the only one that was effective? anyway, I researched each command to see what it did, and found out there some that weren't related to my particular laptop, as it has Intel cpu. so, here is how it looks how. and, the shutdown and reboot process is much faster than it was prior to this clean up. upon boot up, the mouse is ignored, the Touchpad is working. The wired mouse can be unplugged and plugged back in and it works. tlp has been uninstalled, and PowerTOP is not in effect. the mouse is working while in session, and so far, has not quit working. just curious as to why it is not active immediately after the pc boots up? That would be unrelated to the cleanup. The boot process doesn't use the messed up file, that's just the template, the update-grub command generates a proper one out of that. It might be that the autosuspend option speeds it up, it might also be completely subjective. I don't know. What does dmesg say? Is this reproducible across several reboots? Did you try in a different USB port? Does it start working again if you remove the autosuspend option? etc. Happy troubleshooting. as for the mouse not being active, it has remained that way for the last couple days no matter what I do to get the problem fixed. Once unplugged and plugged back in, it seems to be working fine. I can leave the laptop alone for a few hours, and it is still working. Your message contains 74056 characters. [    0.000000] DMAR-IR: Queued invalidation will be enabled to support x2apic and Intr-remapping. [    0.000000] Switched APIC routing to cluster x2apic. [    0.044000] Performance Events: PEBS fmt2+, Haswell events, 16-deep LBR, full-width counters, Intel PMU driver. [    0.044000] NMI watchdog: Enabled. Permanently consumes one hw-PMU counter. [    0.049219] pmd_set_huge: Cannot satisfy [mem 0xf8000000-0xf8200000] with a huge-page mapping due to MTRR override. [    0.125357] ACPI: PCI Interrupt Link [LNKB] (IRQs 3 4 5 6 7 10 12) *0, disabled. [    0.125647] ACPI: PCI Interrupt Link [LNKE] (IRQs 3 4 5 6 7 10 12) *0, disabled. [    0.125742] ACPI: PCI Interrupt Link [LNKF] (IRQs 3 4 5 6 7 10 12) *0, disabled. [    0.125931] ACPI: PCI Interrupt Link [LNKH] (IRQs 3 4 5 6 7 10 12) *0, disabled. [    0.128019] libata version 3.00 loaded. [    1.479473] (NULL device *): hwmon_device_register() is deprecated. Please convert the driver to use hwmon_device_register_with_info(). Last edited by AZgl1500 on Tue Sep 25, 2018 1:44 pm, edited 1 time in total. [    3.449803] RAS: Correctable Errors collector initialized. [    3.513704] microcode: Microcode Update Driver: v2.2. [    4.026320] EDD information not available. [    4.750151] x86/mm: Checked W+X mappings: passed, no W+X pages found. [    4.829690] x86/mm: Checked W+X mappings: passed, no W+X pages found. [    6.471540] [drm] Supports vblank timestamp caching Rev 2 (21.10.2013). [    6.471546] [drm] Driver supports precise vblank timestamp query. [    6.607771] psmouse serio4: elantech: Synaptics capabilities query result 0x10, 0x14, 0x0e. [    8.636172] systemd: Detected architecture x86-64. [    8.642661] systemd: Set hostname to <john-TP500LA>. [    8.720699] systemd: Listening on Journal Audit Socket. [    8.723466] systemd: Reached target Remote File Systems (Pre). [    8.726197] systemd: Listening on udev Control Socket. [    8.728910] systemd: Listening on Journal Socket. [    8.731711] systemd: Set up automount Arbitrary Executable File Formats File System Automount Point. [    8.734454] systemd: Listening on LVM2 metadata daemon socket. [    8.737198] systemd: Listening on udev Kernel Socket. [    9.303113] mt76xx: loading out-of-tree module taints kernel. [    9.315880] <== MT76x0_WLAN_ChipOnOff():  pAd->WlanFunCtrl.word = 0xffff0203, Reg->WlanFunCtrl=0xffff0f03! [    9.444421] AVX2 version of gcm_enc/dec engaged. [    9.737277] audit: type=1400 audit(1537897273.275:2): apparmor="STATUS" operation="profile_load" profile="unconfined" name="/sbin/dhclient" pid=800 comm="apparmor_parser"
[    9.737283] audit: type=1400 audit(1537897273.275:3): apparmor="STATUS" operation="profile_load" profile="unconfined" name="/usr/lib/NetworkManager/nm-dhcp-client.action" pid=800 comm="apparmor_parser"
[    9.737287] audit: type=1400 audit(1537897273.275:4): apparmor="STATUS" operation="profile_load" profile="unconfined" name="/usr/lib/NetworkManager/nm-dhcp-helper" pid=800 comm="apparmor_parser"
[    9.737290] audit: type=1400 audit(1537897273.275:5): apparmor="STATUS" operation="profile_load" profile="unconfined" name="/usr/lib/connman/scripts/dhclient-script" pid=800 comm="apparmor_parser"
[    9.738724] audit: type=1400 audit(1537897273.275:6): apparmor="STATUS" operation="profile_load" profile="unconfined" name="/usr/lib/lightdm/lightdm-guest-session" pid=799 comm="apparmor_parser"
[    9.738728] audit: type=1400 audit(1537897273.275:7): apparmor="STATUS" operation="profile_load" profile="unconfined" name="/usr/lib/lightdm/lightdm-guest-session//chromium" pid=799 comm="apparmor_parser"
[    9.740523] audit: type=1400 audit(1537897273.279:8): apparmor="STATUS" operation="profile_load" profile="unconfined" name="/usr/sbin/ippusbxd" pid=812 comm="apparmor_parser"
[    9.747264] audit: type=1400 audit(1537897273.283:9): apparmor="STATUS" operation="profile_load" profile="unconfined" name="/usr/sbin/cups-browsed" pid=803 comm="apparmor_parser"
[    9.749282] audit: type=1400 audit(1537897273.287:10): apparmor="STATUS" operation="profile_load" profile="unconfined" name="/usr/sbin/tcpdump" pid=818 comm="apparmor_parser"
[    9.753596] audit: type=1400 audit(1537897273.291:11): apparmor="STATUS" operation="profile_load" profile="unconfined" name="/usr/sbin/ntpd" pid=813 comm="apparmor_parser"
[   10.511388] <== MT76x0_WLAN_ChipOnOff():  pAd->WlanFunCtrl.word = 0xffff0103, Reg->WlanFunCtrl=0xffff0103! [   10.525574] -->TX_RING_CTRL: Base=0x34820000, Cnt=32! [   10.596157] rt2800pci_toggle_irq(1):Check if PDMA is idle! 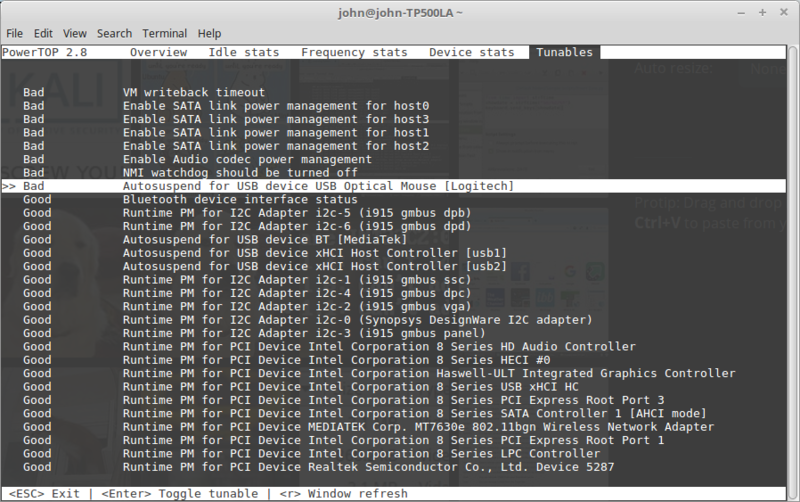 [   10.596160] rt2800pci_toggle_irq(2):Check if PDMA is idle! [   10.762608] VBoxNetFlt: Successfully started. [   10.764393] VBoxNetAdp: Successfully started. [   13.233306] AsicSendCmdToAndes not need  Rsp!!! [   13.233329] AsicSendCmdToAndes not need  Rsp!!! [   13.238804] AsicSendCmdToAndes not need  Rsp!! !